Depending on publications written expressly for amateur radio operators is frustrating if you are seeking information about the more theoretical aspects of our hobby. On the other hand, many "theory1-books are filled with mathematical proofs and long-winded technical descriptions of "ideal circuits that are of little use. High Frequency Circuit Design by James Hardy is one book that falls somewhere in between application-oriented amateur texts and rigorous theory books. Al though it is intended primarily for electronics technology students, the author expresses his hope that it may be of use to practicing rl designers and radio amateurs. Many hams consider rf circuit design to be a sort of black magic that is practiced by a few experts, instead of trying to understand the workings of an oscillator or amplifier, we often build a project hoping for the best but not really knowing why it was designed the way it was. High Frequency Circuit Design concentrates on Ihe basics that make up any rf circuit, whether it is centered around tubes or the latest power FET device. First the terminology needed to understand noise, amplitude, and phase is discussed- Then the author describes how simple components like resistors and capacitors behave when used in rf circuits. Once the fundamentals are taken care of. 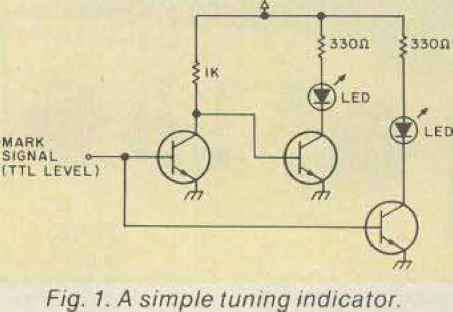 the book explains the secrets of impedance matching, filter design, amplifiers, and oscillators. There is no way to gain a thorough understanding of rf circuitry unless you are exposed to the mathematics that governs it. The author does not expect his readers to be experts in cal cuius-all the math is at an algebra level. The latest FCC Extra class study outline lists items like preselector design and the use of Smith charts. Your favorite amateur references may have a paragraph or two on these topics, but High Frequency Circuit Design has many pages. If you are looking for a schematic diagram for a high-powered amplifier, you will be disappointed, but if you are genuinely interested in what makes an ri amplifier work, this book just might hold the answer.